Happy Friday the 13th! Are you feeling anxious? No need – here’s the truth behind this myth that causes so much stress in the world…if there’s one thing that bugs me about people, it’s our need to have scapegoats…to single out individuals, groups, even days of the year as our enemies and psychic rubbish dumps. Friday the 13th is no exception. -Apparently in some cultures, Friday is an unlucky day and 13 is an unlucky number. Please understand, Friday the 13th is a superstition, not your intuition. Buying into it will close your mind and block your creative success. You become a victim, instead of a co-creator, of fate. Superstition is someone else’s opinion, masquerading as fact. It includes any belief, which causes you to doubt yourself and fear the future. It’s stale, exhausting and based on the idea you have ‘one chance’ to be good and go to Heaven. Superstition is promoted by those in power, to keep the rest of us feeling powerless. It often comes from religious teachings, which divide and conquer us unnecessarily. In contrast, intuition is fresh information from Source to you. It’s created on the spot (like a salad! ), respects your free will and gives you the courage to face what comes next. It’s personal, gentle and leads you in the direction of your dreams (find your lifepath here). Think of someone yelling at you to shut up and stop questioning things, versus someone asking you to follow your gut and choose what gives you strength – that’s the difference between superstition and intuition. Once you understand the difference, you’ll have a quantum leap in confidence. 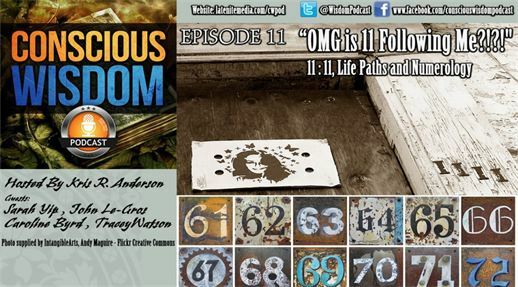 Many people who see 11:11 are Spiritual Messengers, who have come to expand the Age of Aquarius (and teach that everyone is equal – hence the 11’s which are equals signs) and shift away from the Age of Pisces (where some people are more equal than others e.g. guru/ followers, think of George Orwell’s book Animal Farm). My biggest challenge as a scientist-turned-psychic reader, is helping people release their fears of ghosts, black cats, hearing voices and so on in order to access their knowing again. It’s like trying to crack a concrete wall at times. Interestingly, my birth certificate name adds to 13, which is about conquering fear (see more on this below). That said, I find great pleasure in debunking superstitions, while promoting spiritual truths. It’s so exciting when you see someone recover their (sixth) senses! 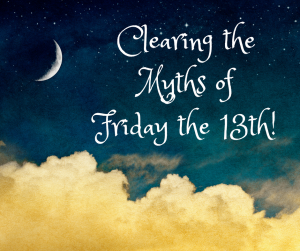 So – What’s the real meaning of Friday the 13th? -It’s just another day of the year. Your intention will make it lucky or unlucky – I’m serious, I know someone who told her kids Friday the 13th is the best day, and next thing you know, her daughter came home with a school award! Thinking that the Universe takes sides is a bit juvenile. Everyone receives sunshine and rain, no matter what so-called sins they have committed. Doesn’t that suggest to you that karma is forgiving? I say the same thing about ghosts – they are often more scared of you than you are of them. After all, you have a body and they don’t! It’s like a pedestrian versus someone in a car. Take back your power and tell them to go away if needed (with love), so you can get some sleep…or hire someone like my friend Deniz Akan to do a house clearing or study mediumship. It’s amazing how fast things shift, when you hold your own (see this empowering video by Kate Tempest, a poet). -It’s the day of the Goddess! Friday comes from ‘Frigga’s Day’ in Old English, she was the Goddess of Married Love. It also has links to Venus, the Planet of Love. 13 is the number of Moons in a Year, so it’s the number of Lunar and Feminine Power – Native Americans knew this way before we came along. See this external post about 13 being the Holy Number of the Goddess. So please, make Friday the 13th a day you catch up with your female friends, or call your Mum, or give thanks to all the women who’ve helped you in life, and show people that you’re not scared by the negative advertising. See Red Tent Australia and Tanishka – The Moon Woman’s excellent post on why it’s futile to fight patriarchy for ideas. BTW this is not a man-bashing exercise. As I write in my post on forgiving your parents, we all have a feminine and masculine side. Our feminine energy shows up in how we treat our body, the planet, and whether we have healthy relationships (or constant can openers!) and our belief in psychic phenomena etc. Our masculine energy shows up in how we value logic, education and our drive to be known etc. Sceptics often relate strongly to the masculine (and males), whatever their gender – they also tend to be more left-brained (which is why numerology knocks their socks off! Facts and figures are their bread and butter). Their affinity is with adults, rather than their inner child, or children, hence their desire to be seen as ‘rational and intellectual’. I should know, because I was a tomboy/ government/ chemistry geek, who left a religious upbringing and 9-5 job behind, to dive into the new age industry (with all it’s lightwashing and crazy psychics). The headline of this post is from Meadow DeVor’s Money Love book (which my coach Lotus Kruse recommends). Numbers are neutral. While Meadow is referring to money, it also applies to numerology and all superstitions regarding numbers and lifepaths. I encourage you to celebrate today by thanking the Moons in your life (people who reflect your hopes and fears, to help you grow) and your female helpers, instead of spreading friggatriskaidekaphobia (the fear of Friday the 13th)! Knowledge brings spiritual freedom. Bring on the Priestesses! BTW – it’s not only a Supermoon and New Moon today as well (wonderful for new beginnings and revealing our remaining dark spots), it’s coming up to a Mercury Retrograde on 25 July 2018. This is the best time of the year to catch up with old friends and get healings. I’m going to have a network session tomorrow! Again, don’t buy into the fear, Mercury Retrograde is a golden opportunity to see beyond the veil and rest! !